Earlier this week, a large group attended the final lecture in my spring/summer Jewish History series, to hear about “The Wild Wild West: Orthodox Jewish Pioneers in Los Angeles”. I regaled them with stories about a range of rabbis and community leaders who were crucial to the creation of a framework for orthodox Jewish life in the ‘City of Angels’. I recalled successes, failures, frustrations, moments of triumph, and forgotten, seemingly fleeting moments that seemed to have no bearing at the time, but which later proved to be vital for the future of orthodox Jewish life in L.A. in particular, as well as for L.A. Jewish life in general. The first rabbi of Congregation Talmud Torah (“Breed Street Shul”) in Boyle Heights, Rabbi Solomon Michael Neches (1891-1954), a man long confined to the footnotes of academic history books, profoundly impacted both Kashrut and orthodox Jewish education in Los Angeles, and the whole of California. Despite fierce opposition from influential Reform rabbis, who advocated for every fringe cause imaginable, unless those causes might have helped preserve Jewish tradition, in the early 1930’s Rabbi Neches ensured that California introduced a “kosher law”, which, despite its limitations, has since acted as a safeguard against unscrupulous crooks who try to misrepresent non-kosher food products as kosher, by introducing the threat of criminal prosecution as a deterrent. 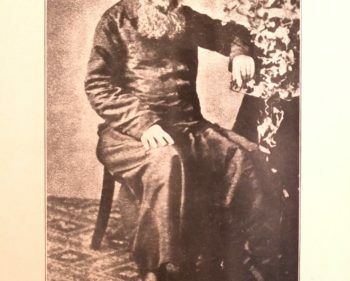 Rabbi Neches was also the first person to seriously upgrade the level, as well as formalize the availability, of education in Hebrew and Jewish studies for the orthodox community of L.A., both children and adults, first at his shul, and later at the Western Jewish Institute in Fairfax, in a building he secured for the community that would later morph into the Shaarei Tefilla Congregation, for decades a bastion of orthodoxy on the West Side of L.A.
His replacement at Breed Street Shul, Rabbi Osher Zilberstein (1888-1973), was no less important. He single-handedly created the first Jewish day school in Los Angeles, and the first yeshiva high school – “Yeshivat Hamaarav” – which boasted high quality Talmud instruction, trailblazing for future similar institutions elsewhere in the city. Rabbi Zilberstein’s close friend, Rabbi Eliezer Adler (1909-2007), the “Zviller Rebbe” of L.A., introduced the warmth of Hasidic orthodoxy to the community-at-large after his arrival in 1940, but without ever compromising on his principles or ideals, paving the path for other strictly orthodox rabbis to settle in Los Angeles and be the beacons of uncompromising tradition to less observant Jews in the decades that followed. As I finished preparing my lecture, I was struck by the thought that this was a very appropriate week to be giving a lecture about forgotten and barely remembered pioneers of a community that in all senses has moved on from those early, difficult days. The portion of Masei that we read this Shabbat, contains the list of all the stops on the journey taken by the Israelites from Egypt towards the Promised Land (Num. 33). Besides for the first few stops, which chart the journey from Egypt to Mount Sinai during that early period of wandering in the wilderness, most of the forty-two place names are unknown, and we also know almost nothing about what happened when the Israelites sojourned at them. It can never be just about the destination. Each stage of the journey is a crucial component of the outcome, adding another layer of experience that gives texture and depth to the destination when we arrive. Had the Israelites not gone through the forty-two stops on the way, with whatever it was they gained at each one of them, they would not have been the nation they were as they prepared to enter Canaan and turn it into Eretz Yisrael. Human nature has a tendency to dismiss history and experience as an irrelevant curiosity which has no role in who we are now as an individual or as a group. That was then, we tell ourselves, but now is now, and whatever happened back then is of no relevance. The list at the beginning of Masei is there to stress the importance of each point in the journey towards the present. However much or little we know about those places, and the sacrifices that were made in each one of them, to ensure the stability and security of the nation then and for the future, or the mistakes that were made that might have endangered that future, each played some part in shaping our present, and knowing this might well influence our own attitude towards the present as yet another such point in the journey towards the future. As I slowly put together the various pieces of the puzzle in the history of orthodox Jewish Los Angeles, researching people and primary resources that have been largely ignored by the present-day community, I realized just how much the actions and projects of these pioneers had impacted my own life and the life of our community – and how the same can be said regarding the pioneers of every community around the world. Moreover, if God considered these kinds of details important enough to include in the text of the scriptures, we are surely compelled to become more knowledgeable about our more recent past, so that we can appreciate the weight our own actions in the present carry, whether for our families, for our communities, or for the future of Jewish life. 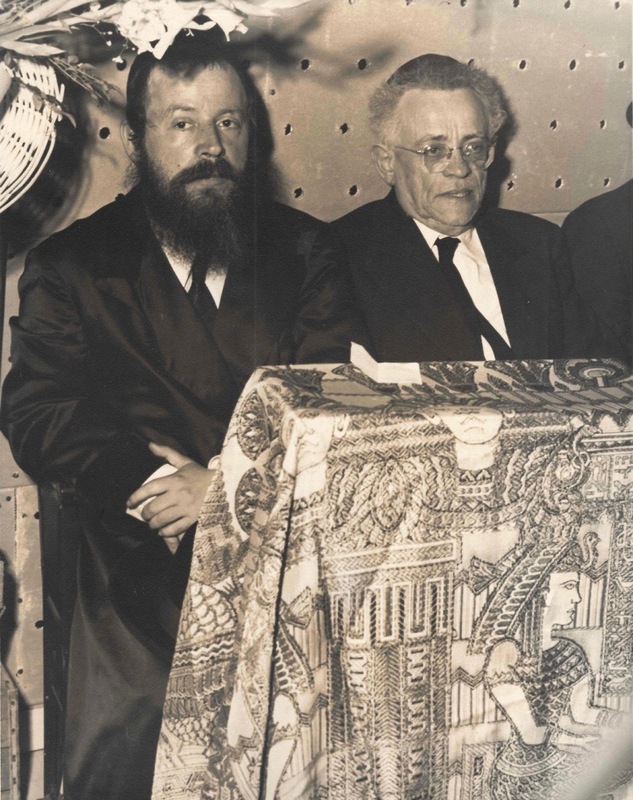 Photo: Rabbi Eliezer Adler and Rabbi Osher Zilberstein, pioneers of the L.A. orthodox Jewish community, during the 1940s (by kind permission of Rabbi Yaakov Horowitz, grandson of Rabbi Adler).